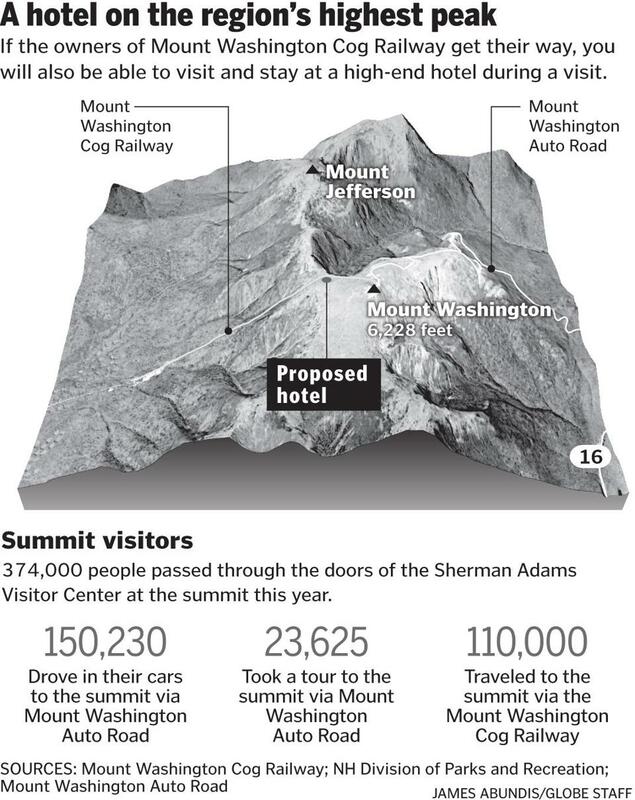 Cog Railway president Wayne Presby revealed a proposal Thursday for a 35-room hotel 1,000 feet below the summit of Mount Washington. BRETTON WOODS, N.H. — It would be a relatively small hotel, just 35 rooms, built most of the way up the most beloved peak in New England. But the mere idea of a new inn amid the hikers and nature lovers on Mount Washington has set off a storm worthy of one of those surprise blizzards that the mountain is known for. 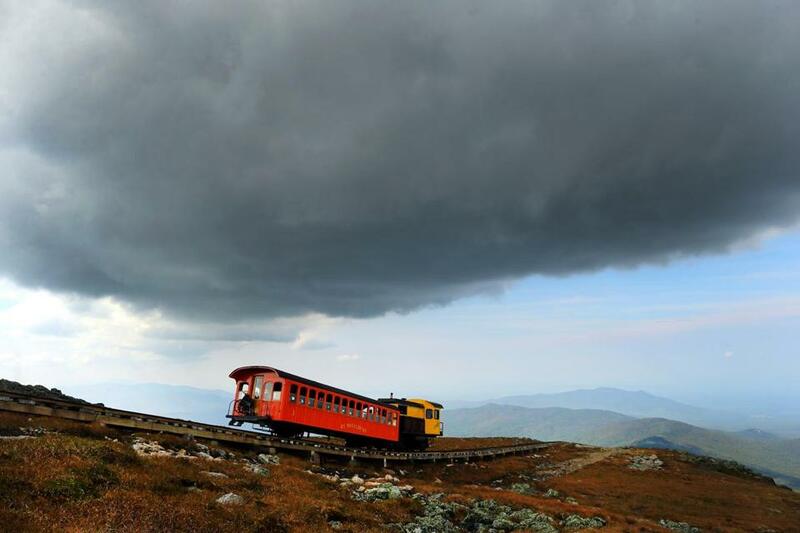 The weather-blasted summit of the majestic mountain already attracts more than 370,000 visitors a year — by hiking trails, an Auto Road, and a Cog Railway that’s been operating since 1869. Seizing on the potential for more tourism dollars, the railway’s owners are proposing to build a higher-end hotel about 1,000 feet below the rocky summit. Hikers who tramp the Presidential Range fear the construction will mean less connection with the uncluttered outdoors. The Appalachian Mountain Club, having recently dropped its own plans to build a new hut because of opposition, has declared itself concerned about the new hotel idea. “That area is actually pretty pristine with the exception of the Cog Railway tracks,” said Dillon, who started a blog to oppose the project. The hotel is planned for a narrow right-of-way, privately owned by the railroad, that runs up the west side of the mountain. Wayne Presby, the railway president, calls the mile-high hotel a win-win successor to long-gone lodgings that crowned Mount Washington for more than a century. To Presby, much of the pushback smacks of what he sees as elitism by hikers who understandably want the outdoors preserved. But many of them, he added, resist compromise that opens the outdoors to more people and brings in more tourist dollars to a region that needs them. “There isn’t a thing that gets done in the North Country that doesn’t get opposition from these groups,” said Presby, who previously owned the Mount Washington Hotel, a sprawling Victorian-era landmark in the valley. 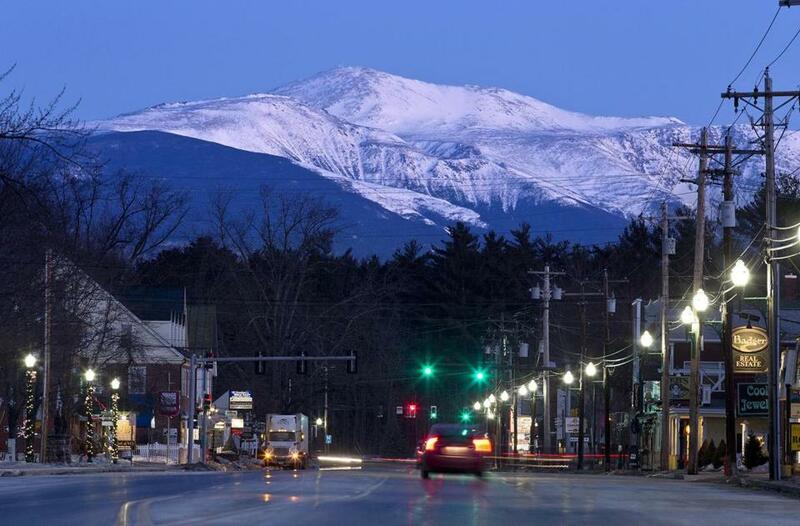 Mount Washington is seen at dawn from North Conway, N.H., in 2015. That argument received a thumbs-up from Gareth Slattery, a local man who gave the hotel his online backing. The proposal was introduced without public discussion Thursday night to the Coos County Planning Board in the first of multiple procedural steps. Presby said he is pitching an eco-friendly, aesthetically pleasing hotel that would be served by the Cog Railway. The design has not been drawn up, but Presby said the hotel would have a restaurant and bar and possibly straddle the tracks to protect disembarking guests from the elements. He also said the hotel could provide emergency refuge for hikers in bad weather, but Dillon and others questioned that selling point. “Could it save somebody’s life? Absolutely,” said Michael Cherim, a local mountain guide who is on the board of directors of Androscoggin Valley Search and Rescue. “Conversely, we think that people from the hotel will venture forward to the summit” without proper precautions. 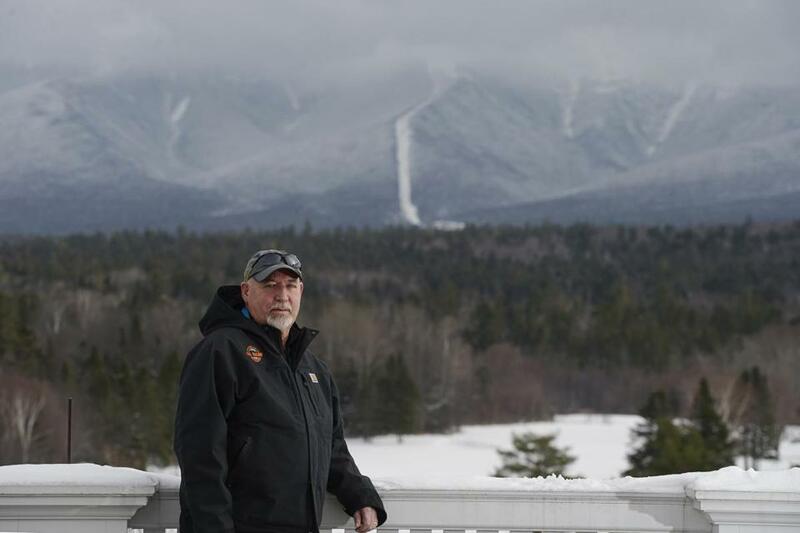 The hotel, if built, would continue what had been a long Mount Washington tradition. Bare-bones lodging opened atop the peak in 1852, and the railroad opened the 91-room Summit House in 1873. A smaller building went up after a fire in 1908, and operations ceased in 1967. Currently, most in-season hikers who stay overnight face daunting competition for one of 90 bunks at the nearby Lakes of the Clouds Hut run by the Appalachian Mountain Club. “This is going to help take some of the burden off the facilities,” Presby said of his additional beds. As many as 5,000 people can crowd atop the mountain at one time, hikers said, and lines to take a photo at the 6,288-foot elevation marker can stretch as long as a football field. There are parking lots for the private Auto Road, which helped 173,000 people reach the roof of New England this season. There also is the state-operated Sherman Adams Visitor Center, which includes an observatory, weather station, and museum at the summit. “If you’re up there to enjoy the outdoors, the summit of Mount Washington is exactly the opposite. It’s like a little city,” said Dillon, the hiker. Appalachian Mountain Club officials, still stinging from a roar of opposition that led it to drop its plan for a new White Mountains hut last week, said they will watch the process closely. A Cog Railway train in September 2015. on the trail Richard Dreselly just crossed. Dillon and other hikers said the Cog Railway, which Presby and his group have owned for 33 years, has been a bad environmental steward. Hikers said cinders, wood, and rails can be found beside the tracks, which this year helped carry 110,000 customers in a record season for the world’s first mountain-climbing cog railroad. “I’m appalled by the refuse that the Cog Railway has left in the right-of-way over the last 149 years,” said Cherim, who owns Redline Guiding in Intervale, N.H.
Presby acknowledged that debris mars part of the landscape near the tracks, but he said the railway has removed much of what had been left behind by previous owners. Presby points to the environmental benefits of biodiesel fuel — made from waste vegetable oil such as restaurant grease — used by six of his trains. The other two have coal-powered steam engines that remain enormously popular for a round-trip that can cost up to $69 per adult. Dillon said he understands the need to improve the tourist economy, but he also wonders what the mountain will look like when his two boys — 4 years old, and 3 months — are old enough to hike Mount Washington. “We can’t continue to keep adding and adding and adding. We’ll be left with nothing,” Dillon said. Brian MacQuarrie can be reached at brian.macquarrie @globe.com.